Young people from north and south will be in the European Parliament in Brussles today to discuss how Brexit will impact their lives. 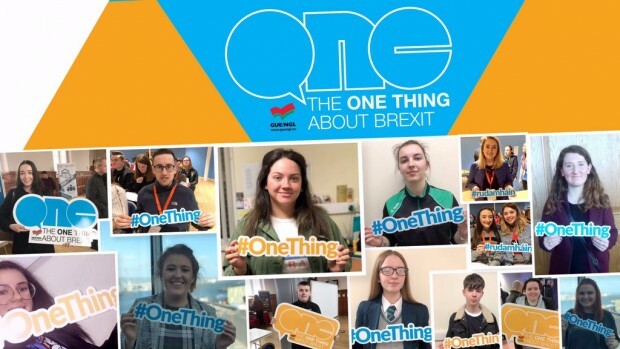 They are travelling as part of a delegation hosted by Sinn Féin MEP Martina Anderson to highlight the One Thing campaign, an initiative designed to give young people a platform to raise their concerns over Brexit. Over the last number of months, young people from across Irelandwereencouraged to take to social media to highlight the one thing about Brexit that most concerns them. Large numbers of young people from north and south took part in the campaign and their views have now been compiled into a report which will be presented to the EU's Brexit negotiating team in Brussels during the delegations's visit. "Earlier this year I launched the One Thing campaign which was designed to give young people the opportunity to use social media platforms to highlight how Brexit will impact on them. "They responded with concerns about their education, European study programmes, freedom of movement, the rights of women, equality, workers' rights and many other issues. "During the course of the delegation's visit, young people who took part in the campaign from across the north and the border region in the European Parliament in Brussels where they will have the opportunity to raise their concerns with EU legislators. "They will also present a report on the One Thing campaign to those conducting the Brexit negotiations on behalf oF the EU. "This is all part of my pledge to ensure that the voices of the people of the north are heard and listened to in Europe."